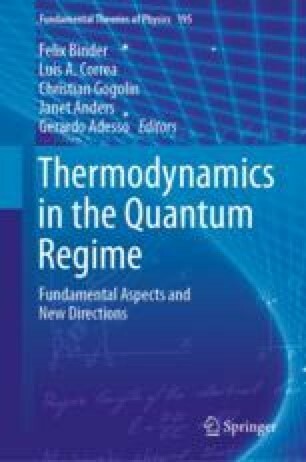 In this chapter we will present the one-dimensional (1d) quantum degenerate Bose gas (1d superfluid) as a testbed to experimentally illustrate some of the key aspects of quantum thermodynamics. Hard-core bosons in one-dimension are described by the integrable Lieb-Lininger model. Realistic systems, as they can be implemented, are only approximately integrable, and let us investigate the cross over to ‘thermalisation’. They show such fundamental properties as pre-thermalisation, general Gibbs ensembles and light-cone like spreading of de-coherence. On the other hand they are complex enough to illustrate that our limited ability to measure only (local) few-body observables determines the relevant description of the many-body system and its physics. One consequence is the observation of quantum recurrences in systems with thousand of interacting particles. The relaxation observed in 1D superfluids is universal for a large class of many-body systems, those where the relevant physics can be described by a set of ‘long lived’ collective modes. The time window where the ‘close to integrable’ dynamics can be observed is given by the ‘lifetime’ of the quasi-particles associated with the collective modes. Based on these observations one can view (in a quantum field theory sense) a many-body quantum system at T \(=\) 0 as ‘vacuum’ and its excitations as the system to experiment with. This viewpoint leads to a new way to build thermal machines from the quasi-particles in 1D superfluids. We will give examples of how to realise these systems and point to a few interesting questions that might be addressed. I would like o thank all my collaborators during the last years for many illuminating discussions, especially the theory in Heidelberg: J. Berges, S. Erne, V. Kasper, and Th. Gasenzer, and my long term collaborators E. Demler and J. Eisert. M. Huber provided invaluable insight into the quantum to classical transition and towards the implementation of thermal machines with 1D superfluids. None of this would have been possible without the fatalistic effort of my group at the Atominstitut, special thanks to I. Mazets for keeping me on track in theoretical matters, T. Langen, B. Rauer and Th. Schweigler for making the experiments work and their deep insight into the related physics and Joao Sabino for help with the manuscript. This work was supported by the FWF through the SFB FoQuS, the DFG-FWF Forschergruppe 2427:Thermal machines in the quantum world and by the EU through the ERC advanced grant Quantum-Relax. JS acknowledges the hospitality of the Erwin Schrödinger Institut in the framework of their thematic program Quantum Paths which enabled many discussions shaping this article. Part of the research reviewed in this chapter was made possible by the COST MP1209 network Thermodynamics in the quantum regime.